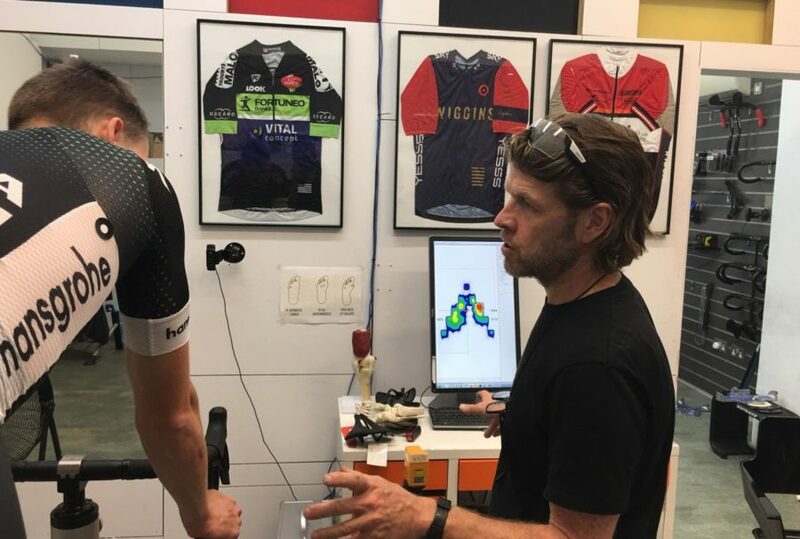 We have developed our bike fitting protocol over the last fifteen years working with Doctors, Professors, physios, custom frame builders, leading bike brands and all types of cyclists. We treat all our clients equally no matter what there ability. "Couldn’t recommend enough, since my fit I’ve been faster and more comfortable on my bike than I thought possible!" The UK's most comprehensive and detailed bike fitting service for Road, MTB, Track, Cyclocross, Triathlon and Time Trial bikes. Suitable for cyclists of all levels, every rider can benefit from our knowledge and experience. The gebioMized saddle pressure mapping is included in the Cyclefit to locate hotspots on the saddle and objectively assess adjustments to improve comfort, stability and the correct saddle; it will also objectively assess any pelvic asymmetry and the possible bio-mechanical causes. We aim to understand as much as possible about you, your life and your cycling. Knowing your future aspirations and current cycling limitations will help us determine your bike position based on your fitness, aspirations and the type of cycling you do. We will spend time exploring any past or current injury or discomfort history both on and off the bike. This helps us to understand what we may find during the physical evaluation or during the on-bike analysis. Body measurements, stability, flexibility and range of motion assessments will help us build a picture of your individual bio-mechanics and physical conditioning prior to riding on the Fit Bike. Particular attention is paid to understanding your feet as a correctly adjusted shoe/pedal interface can improve pedalling dynamics, performance and comfort. Dartfish's sophisticated software records a rider's every movement and can measure leg extension and track key points of movement. Your position and movement is recorded throughout the session to illustrate changes. A very important aspect for the customer is the ability to view their posture and pedalling technique. The Fit Bike allows us to adjust a rider's position without compromising to a frame's limitations; millimetre accurate adjustments can be made while the rider is pedalling. No on-and-off and stop start. Smooth fast, accurate, repeatable and recordable adjustments. Handlebar and saddle can be changed to achieve the best set-up. The crank length can also be adjusted easily during the session. Wired into the Fit Bike is RacerMate's Computrainer. The Computrainer provides the variable resistance and most importantly the Spinscan. The Spinscan shows you and your fitter when and where the power is applied during the pedal stroke and any pedalling asymmetries that may be present. We will measure the size of your feet, forefoot angle and arch height and advise on the correct shoe design. The pedal cleats will be set in the correct position and adjustments made to ensure optimum performance. At the end of your Cyclefit we will adjust your bike to reflect your new position and advise and/or fit any new components needed to achieve this. 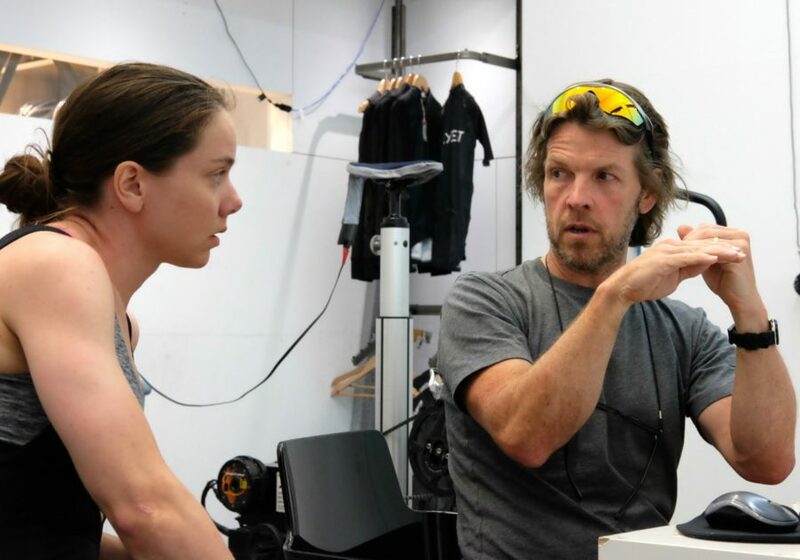 After your Cyclefit you will receive a full report containing the recommended set-up for your bicycle and a record of adjustments made to the bike and your shoes and any component changes. You will also receive advice on posture if needed and strength and conditioning guidance. If you are looking for a new bike we can provide you with solutions from Trek and our custom brands to suit your position and riding style. New Bike Rebate: £150.00 for bikes from £2,000.00 and up to £3,000.00, £250.00 up to £5,000.00 Full £350.00 rebate above £5,000.00. Improve foot comfort, knee tracking and pedal stroke with custom footbeds for your cycling shoes. The Sidas footbeds are moulded and fitted in to your cycling shoes during the appointment and are a crucial part of the bike fit as they will improve your foot contact and stability in the shoe. Highly recommended! Extra time to work out your position for another cycling discipline (Time Trial, Track, Mountain Bike) after your Cyclefit appointment. Watts per CDA is the New Watts per KG! Optimise your road position in our virtual wind-tunnel. "Rode my standard Box Hill loop this morning with the temp shims and more thought to position. Felt more connected and compact on the bike. Fastest ride of the year, picked up close to a km/per hour despite crappy wet pot holed roads, a ton of traffic and a couple of nights out Thu/Fri." "Thanks very much for consultation last week - since I saw you I do not have anything like the same amount of pain I was experiencing previously. I am so much more at ease with my new positioning and my posture feels right now."